It has been a common sense that customer service is an important factor for the success of online businesses. Real-time and face-to-face communication is the most efficient way. It can be easily realized for brick-and-mortar stores; but for online businesses, it is not such a simple thing. 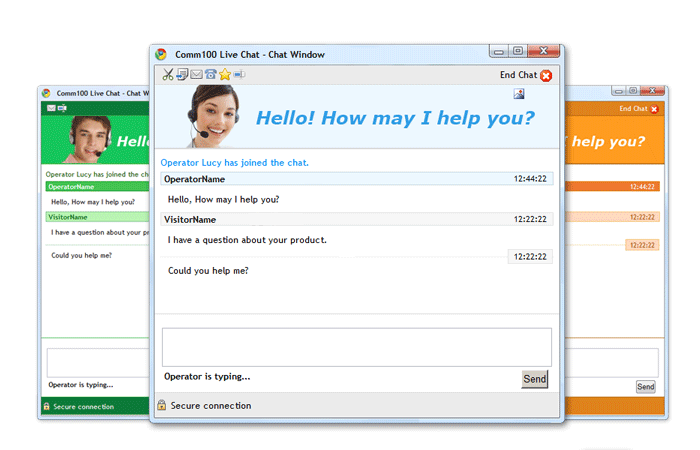 Comm100 Live Chat is a website chat solution which enables online businesses to engage and track visitors in real time. With installing the chat tool on your site, your customers can get online instant support just by clicking the chat button.What benefits Comm100 Live Chat can bring to your site? There are many items you can customize in Comm100 Live Chat, including chat button, chat window, chat invitation, pre-chat survey, post chat rating and some other settings. Take pre-chat survey for example, you can either enable pre-chat survey or disable it. If you enable this function, you can customize the Window title, greeting message and configure the fields to be displayed. Comm100 Live Chat provides you the ability to monitor the visitors’ footprints in real time, including where they are from, which page they are browsing, how many times they have visited the page, how long they have stayed on the page, etc. With Comm100 Live Chat, you can reach out customers pro actively. When you have deep research about the visitors’ behaviour and summarize some traits of potential customers, you can set automatic invitation rules. The parameters that can be used to create invitation rules include time on website, current page URL, search keyword, visit times, etc. 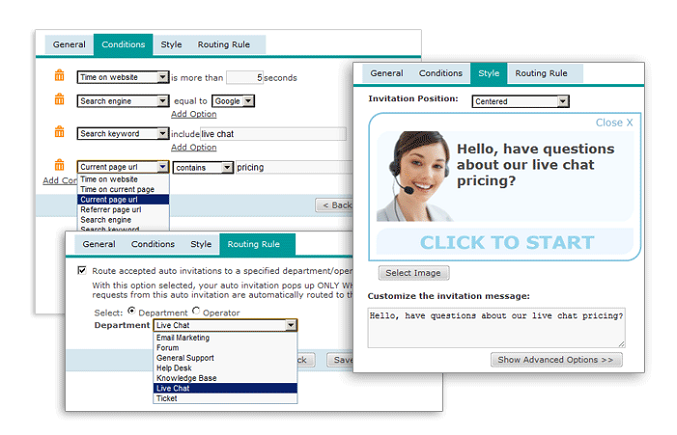 Comm100 Live Chat can integrate with other Comm100 products, including ticket, knowledge base, help desk, etc. Besides, it can integrate with CRM software, such as Salesforce, which enables you to manage your sales or support workflow. 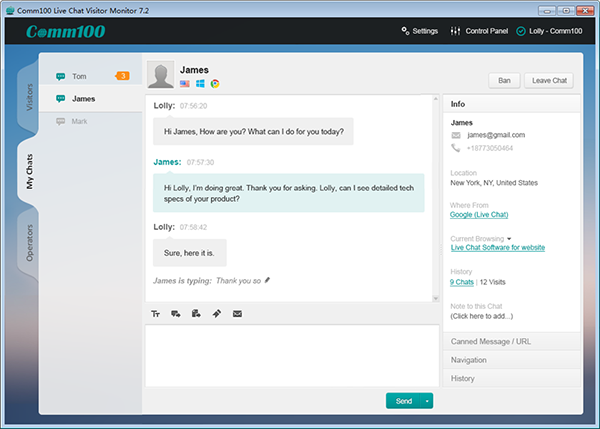 Comm100 Live Chat has developed apps for almost all mobile platforms, such as iPhone, iPad, Blackberry, Android, etc. 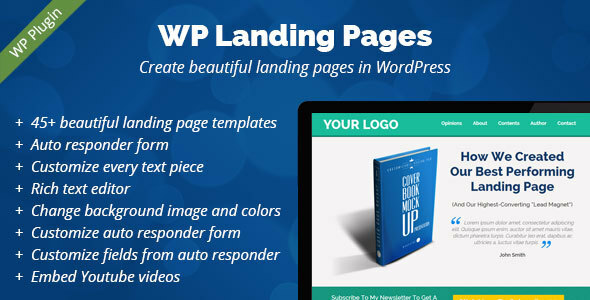 It enables you to keep in touch with your visitors anytime and anywhere.